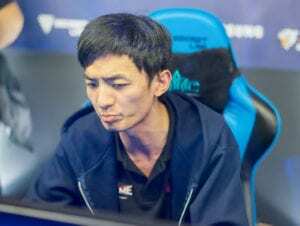 The recent rumors of ‘eleven’ being kicked from team EHOME is been clarified by the Organisation as they announced that eleven is not kicked from the team. Eleven decided to put up a break on his professional gaming carrier until the end of Ti6. The reason for elevens decision to take a break till the end of ti6 is also because of their recent performance which lead them in a position of not qualifying for big LAN events and even failing to qualify for the The Manila Majors. Eleven also stated that he will return back to the scene after TI6 and most likely to the same team. Old Eleven Leaves for a break, Ehome Left with 4 man roster. Due to Eleven’s departure, Ehome is now left with 4 players. The organisation will soon announce the last member of team who will play as a stand in for team team during the absence of their position one (Carry) player i.e Old Eleven. Being following the esports scene for past 5 years as a player a.k.a Arrow, Vishal has worked with top-notch eSports organization as a writer. Arrow's vision is to provide worthy content to the community to improve with all the resources available at the disposal. Love's travelling and covering eSports events on the go!